I finally learned how to flat twist. Yay! I learned from where else, YouTube, of course! I'm so excited to incorporate them into different hairstyles of mine. They don't last as long as cornrows though, they only last a week at most. But oh well, I mainly wash my hair once a week anyway so this works just fine for me. I'm just tickled to add another hairstyling technique to my arsenal. I did the left side. 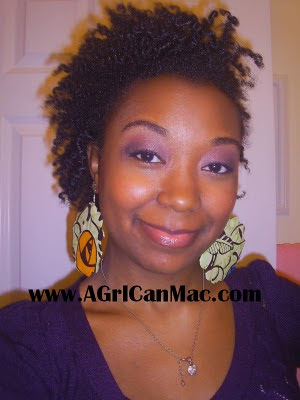 The rest of my hair is a twist out from some twists I had in for a couple days. The earrings of course are from my line, Sofysticated Phunk. I have a Tumblr site up: http://SofysticatedPhunk.tumblr.com with one pair for sale so far so if you're interested, check it out. I will definitely be adding more styles very soon so stay tuned, add it as a favorite and stop back frequently. I'm contemplating leaving Etsy and just creating my own website for them. Until then, I now have this Tumblr account in interim. I have natural hair as well but I DO NOT have the patience to stand there twisting my life away so I go for the wash n go look ... curly afro and call it a day ... I do admire ur styles tho. Oh yea, luv your hair and make up! ;) always flawless. 1xellus1, hey grrrrl! Where you been?! loove the make up too! I love the whole look. Plus those earrings...well you know it already man! gorgeous! As always your hair looks amazing. 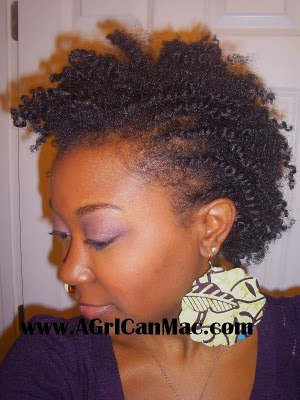 I love the way your twist out looks. The ringlets are so defined. BEAUTIFUL! your hair, makeup, skin, everything is on point!